I have always loved florals and I am super exited that they are coming back in style. Right at this very moment I'm rocking gray sweatpants with big, pretty pink roses all over. And while it was pouring this morning they were quite comfy and warm, at the moment they are a bit too hot. But they are pretty so I'm still wearing them! 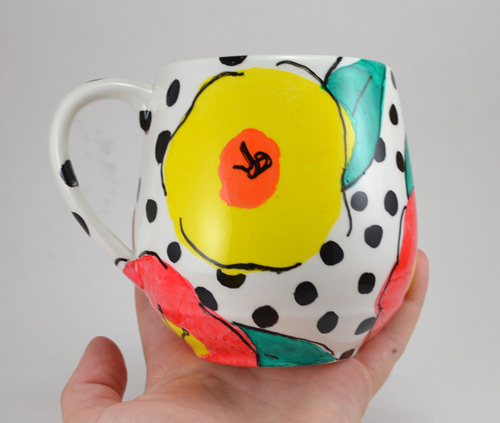 Wanting to bring a pop of color to my new black and white dishware scheme it seemed a brilliant idea to make my very own mugs. This way I get to pick the exact colors and style. In the end I love them so, so much! 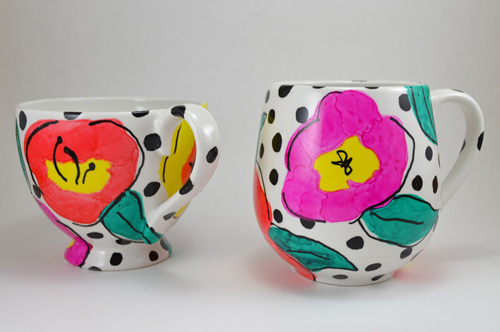 In the past I have done the permanent marker route for DIY mugs and whatnot and they worked out okay. With lots of use the design would start to wear away where you touch it the most. And the first time you weren't thinking and tossed it into the dishwasher, well you could kiss that mug goodbye! But at least you had a really clean mug to paint all over again I guess. These Painted by Me markers are amazing. Flat out, they work. Designs don't wash away or rub away at all. It looks and feels like ceramics you bought at the store. 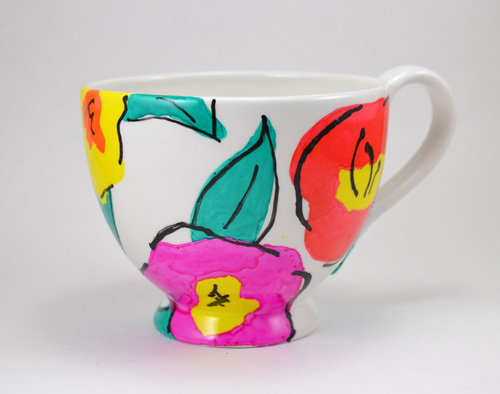 If you use the Painted by Me Ceramics with the markers your designs are food safe. Now how awesome is that? I've seen so many tutorials declaring that their painted ceramics were food safe though the things painting them were not. The fact that this actually is a food safe way of decorating is so great! And here are the markers. To get them going the first time you'll need to shake up and down to get the paint flowing. 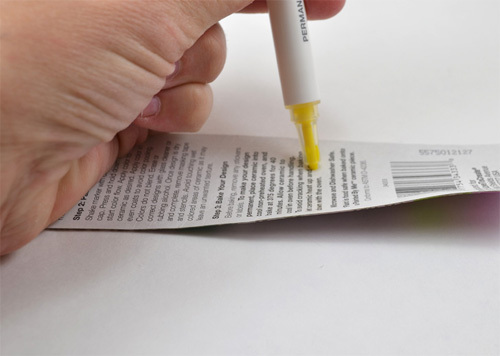 Push the nib down until the paint starts to come through. 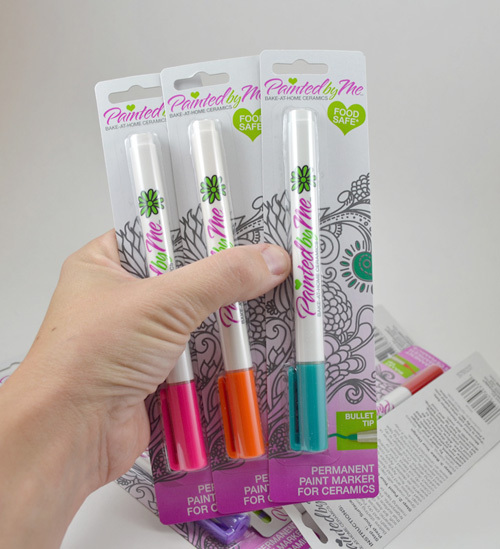 I used the back of one of my marker packages but you can use whatever. Every once in a while when working with the same color for a good amount of time you'll want to give that sucker a shake up and down again. 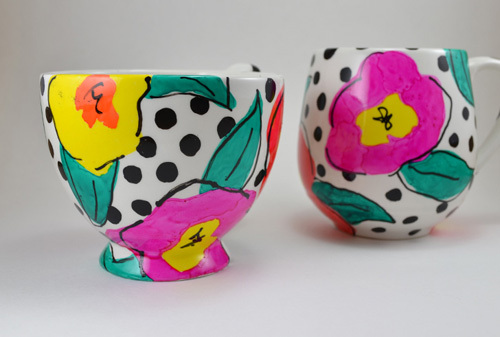 My design was inspired by the fact that I am trying to collect lots of black and white dishware. I've decided that all of my plates will be only black and white but that my mugs can have a bit more color going on. These flowers are super easy to draw or paint and I guess it's my style of making florals. 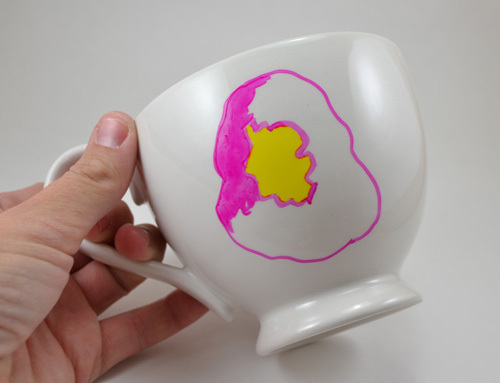 You'll first need to make a yellow or orange blob onto your mug. Next draw a random, blob-like shape around the first. 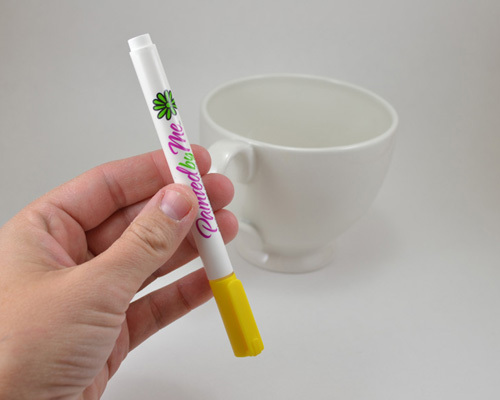 If you want your finished product to look similar to water color you'll need to fill in a small, randomly shaped portion of your flower and allow to dry. Hop around the flower and overlap the previous color a bit. 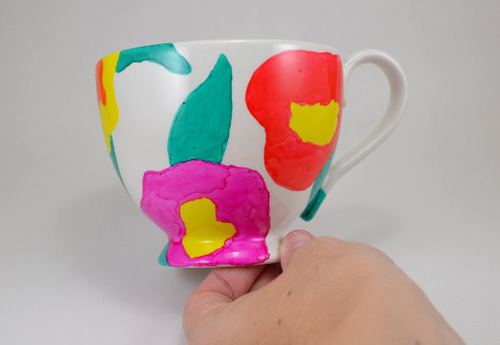 To add more color on top for more texture place the nib on the mug and push down for the paint to flow freely. When all of the color is completely dry, in the center of the flower draw a random squiggle or little lines with circles on top. Draw petal-like lines around the flower but leaving areas that are not connected. Push down on the nib frequently to have lots of paint easily flowing. If your tip is not very wet you'll just scratch away the paint below. It's okay to go inside of the petals a bit and it's also great to go outside of the color onto the white space, too. Like on my finished mugs. 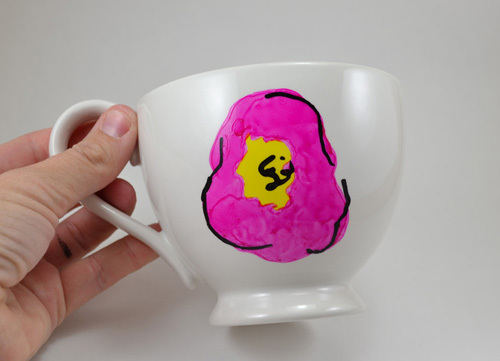 Now that we know how to make the flowers draw and fill in blobs to make them all around the mug. Draw leaf shapes around the flowers to fill in any overly large white space areas. But be sure to leave some space for your polka dots. Trace your flowers and leaves with a juicy nib and allow to dry again. Next add in your polka dots. The genius part of this is that it doesn't have to be perfect. Just draw make circles and fill them in where you have space. 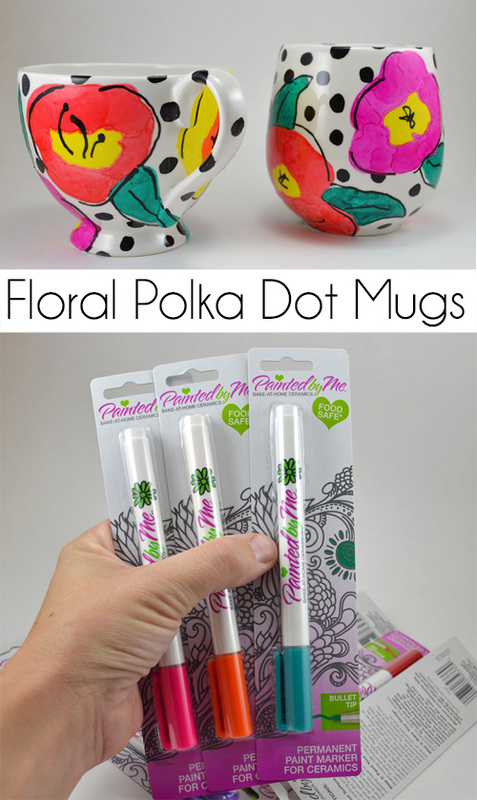 For a more finished look, also draw parts of a circle and fill in up against the flowers, leaves and mug edges. A good example of this is the dot on the bottom of the yellow flower. Now if at any point you have an area you messed up or just don't like use alcohol to remove the paint. I used a paper towel for bigger areas and a cotton swab for the smaller. 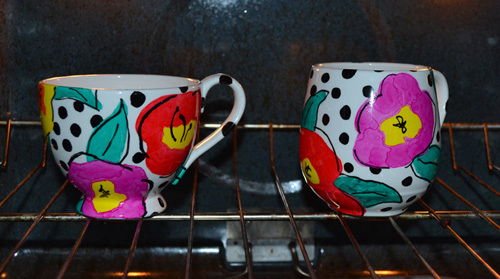 Put your finished mugs into a COLD oven and set the heat to 375 degrees. Once heated turn on the timer for 40 minutes. When done allow the mugs to cool inside of the oven. 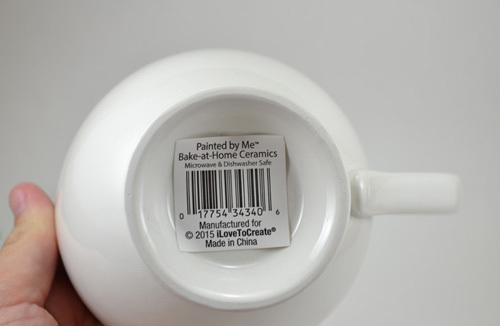 Extreme changes in temperature, like putting right into a hot oven, can cause your mugs to crack. 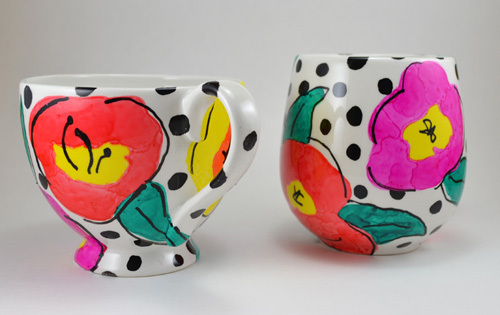 I dig that my mugs are two different shapes... it really adds to my mishmash collection! If you like this tutorial you'd probably really dig my site Dream a Little Bigger. I'd love to see you over there! Where do you find the markers? you're really a good webmaster. The website loading speed is amazing. It seems that you're doing any unique trick. In addition, The contents are masterwork. you have done a excellent job on this topic!